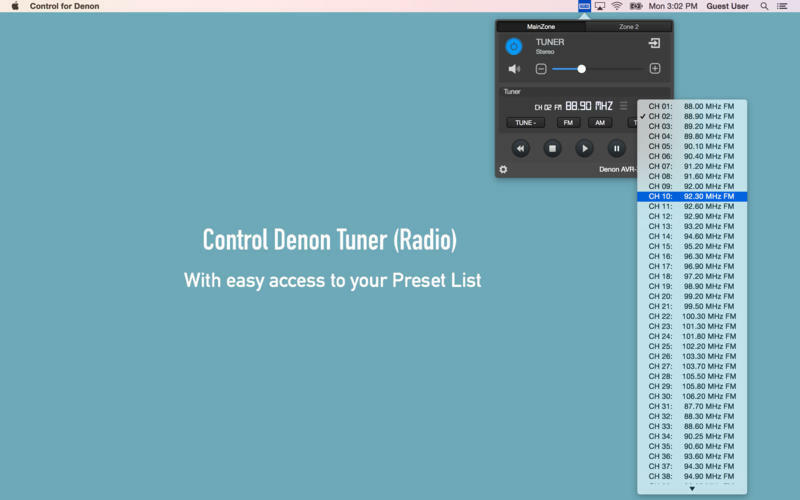 Is there a better alternative to Control for Denon? 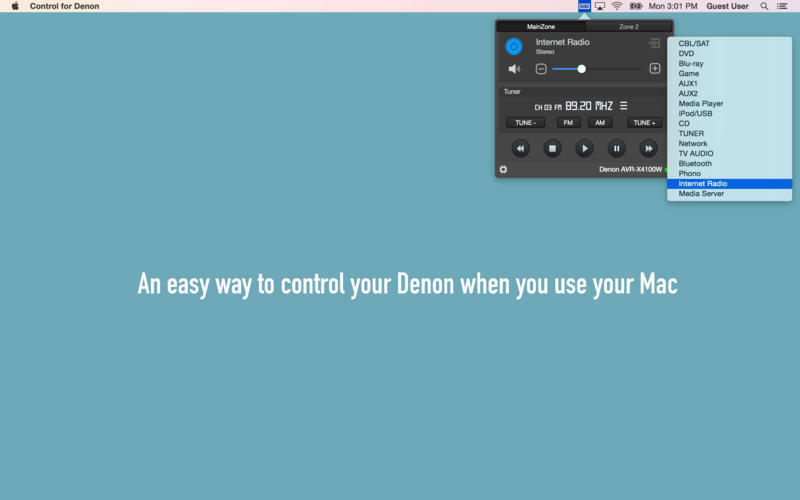 Is Control for Denon really the best app in Entertainment category? 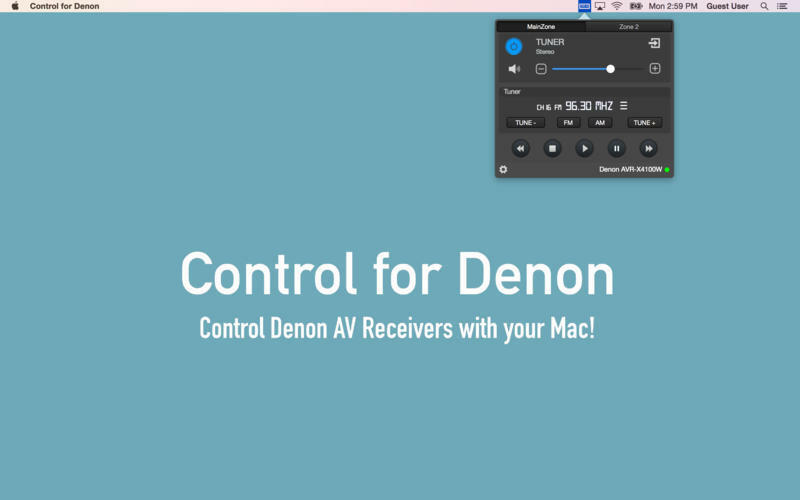 Will Control for Denon work good on macOS 10.13.4? With Control for Denon, you can remotely control any network-ready Denon '11/'12/'13/X Series or new 2014 A/V receiver. To control your receiver, your receiver and computer must be connected to the same local network. 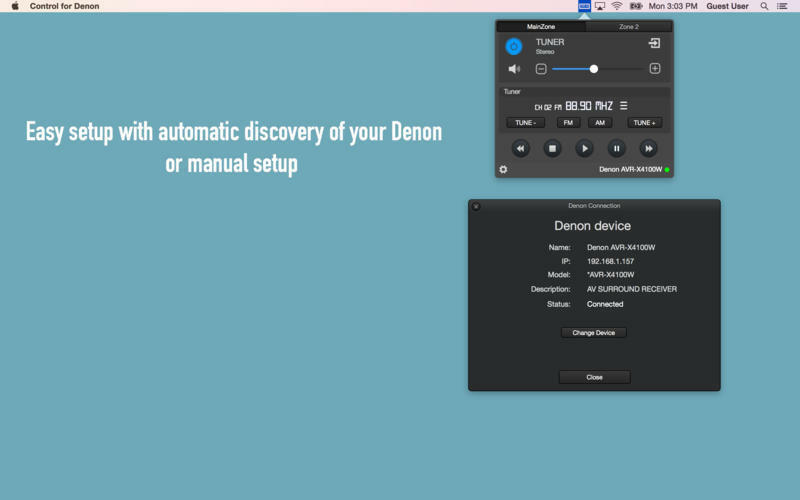 Please set "Network Standby / IP Control / Network / Network Control" to "ON / Always ON" in your Denon product via the system-setup menu to use this app. 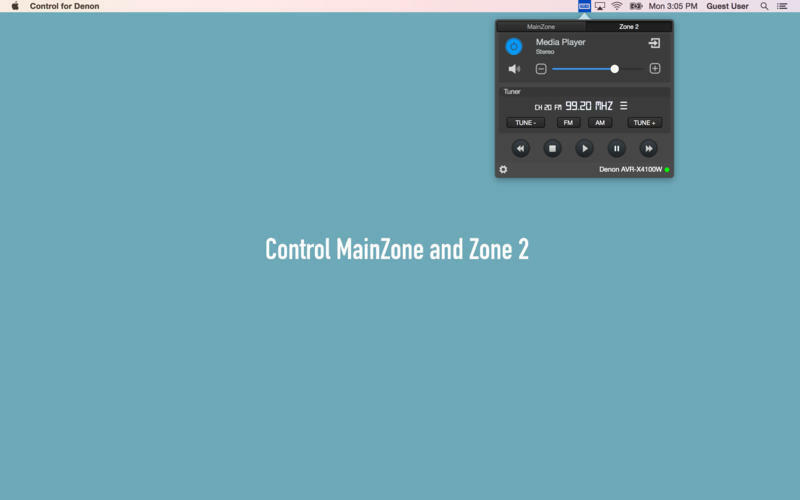 Control for Denon needs a rating. Be the first to rate this app and get the discussion started!